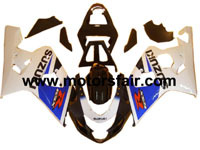 Easily enhance the looks of your 2004-2005 GSXR 600 / GSXR 750 K4, K5 with this full 13 piece OEM quality fairing set! 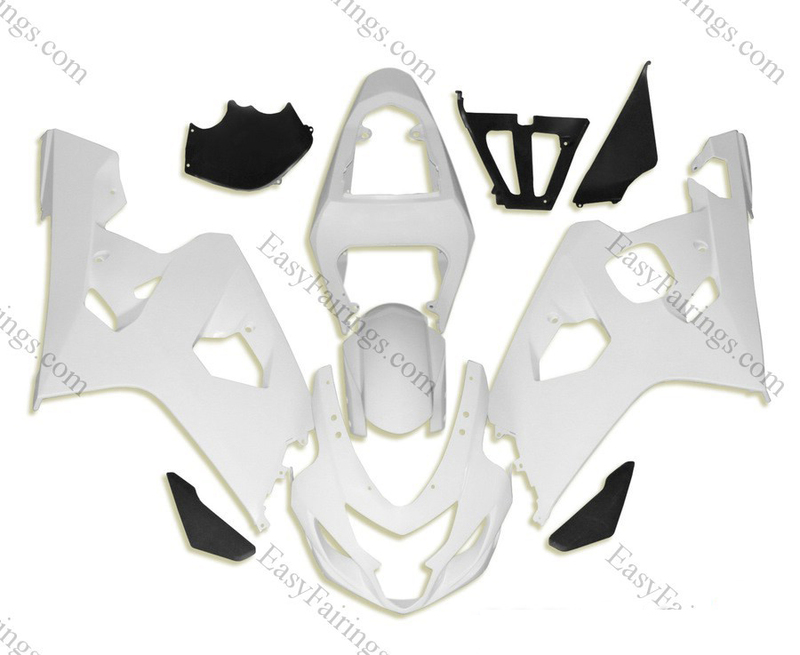 This Suzuki GSXR motorcycle fairing kit is painted featuring a black and white design. Includes 3 layers of painting to ensure a super long life. this company is horrible. 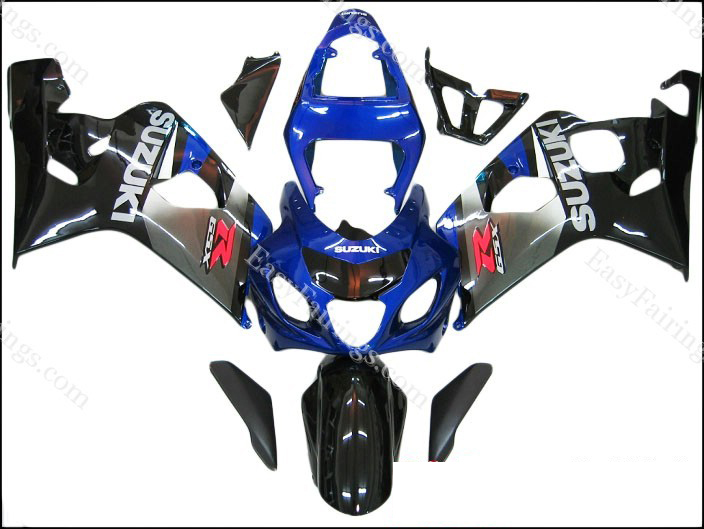 it took me a month to get my fairings, they do not contact you like they say they are and they do not make ther fairings in the US. i have had nothing good turn out from this company. 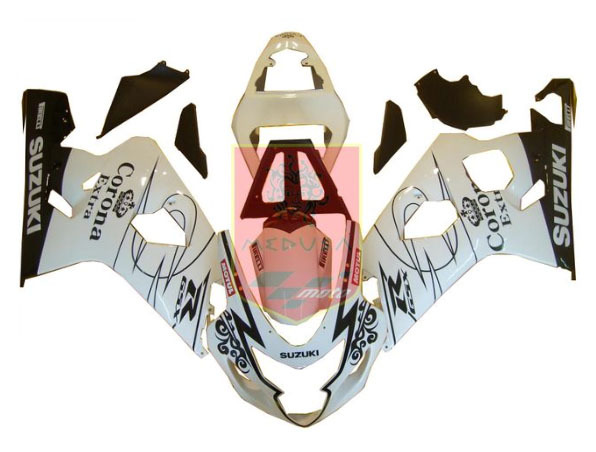 they did not paint my fairings the way they ordered and i sent them pictures and they made up an excuse and said since i took them out of the packaging they would not refund me my money and could not take them back. i highly dislike and will never ever reccommend this comany to anyone. they are a waste of time and the product is poor quality. i would rather of spent an extra 200 dollars for a comapny in the united states that do a better job with the fairings and communicating. Not a single person called me like they said they would. Poor managment. a waste of my 667.00 dollars. DO NOT BUY FROM THEM. Thats only a highly suggestion.